Wyoming‬ has been fighting Washington over delisting since 2003, objecting to the federal standards and offering its own plan for controlling wolf populations. Wyoming treated wolves as "vermin" and allowed them to be hunted along the borders of Yellowstone National Park and throughout National Forest lands south of Jackson Hole. 219 wolves were killed in 80% of Wyoming opened to "unlimited" killing since the delisting in late August 2012. Wyoming's kill-on-sight attitude as a wolf management plan throughout much of the state is a disgrace. Wyoming officials need to be conscious of the fact that "sport" (trophy) hunting of wolves is inconsistent with the need for continued protections for this essential, iconic species. Labeling the wolf as a predator that could be shot in four-fifths of the state is hardly a way to treat a species freshly removed from the ESA. Cast your vote. 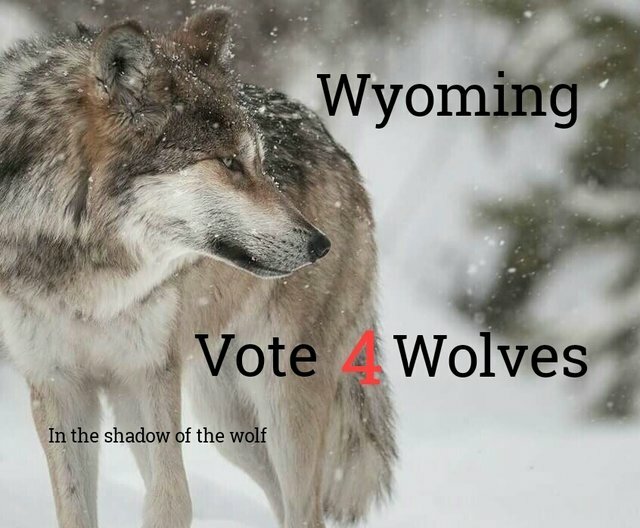 How should Wyoming's wolf population be managed~certainly not by the state, please choose the first option: "The current federal controls will protect the population."